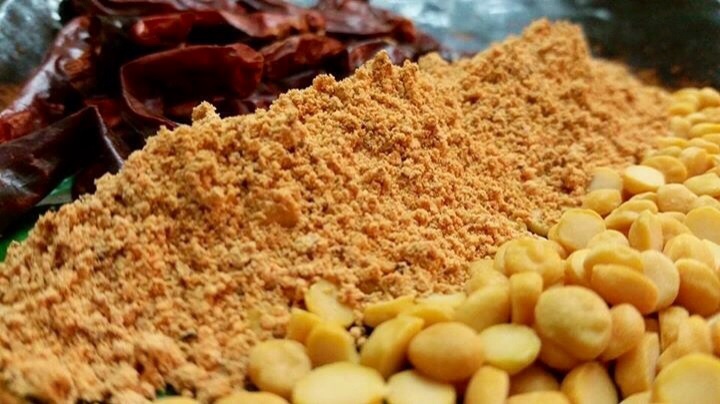 Also called Mulgapudi or Chutney powder, this spicy condiment is an intrinsic part of Southern Indian Cusine. I love to enjoy this with a drizzle of warm ghee and hot steaming Idlis. It also tastes yumm sprinkled inside Dosas or eaten plain with ghee rice. With my penchant for experimentation, I’ve even tried using it to make Masaledar Gunpowder Bhindi …believe me this spice mix knows no boundaries! There are many recipes out there, each household seems to have its own unique mix. However my recipe is extremely basic and simple and learnt from my Aunt Bhawani Rao who is from Andhra. Or you could also use raw Chana dal, and roast it on slow flame yourself. 3/4 cup dry red chillies roasted on slow flame till aromatic. 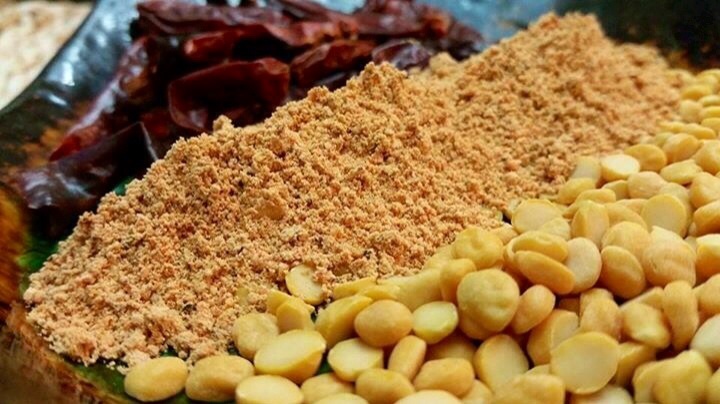 Grind the chillies and Chana dal in a dry grinder. Do not grind it too fine, the mix should be slightly grainy. Add salt to taste. Store in an air tight container to preserve freshness.